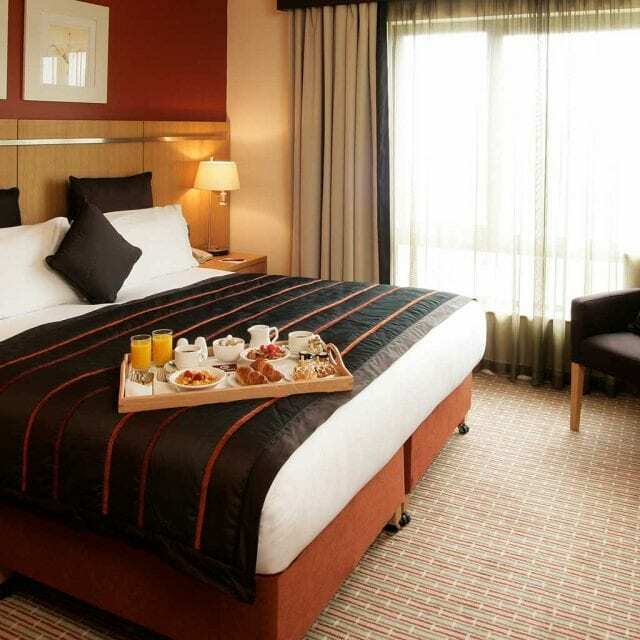 The Clayton Hotel located in Liffey Valley is the choice of many families and business guests. 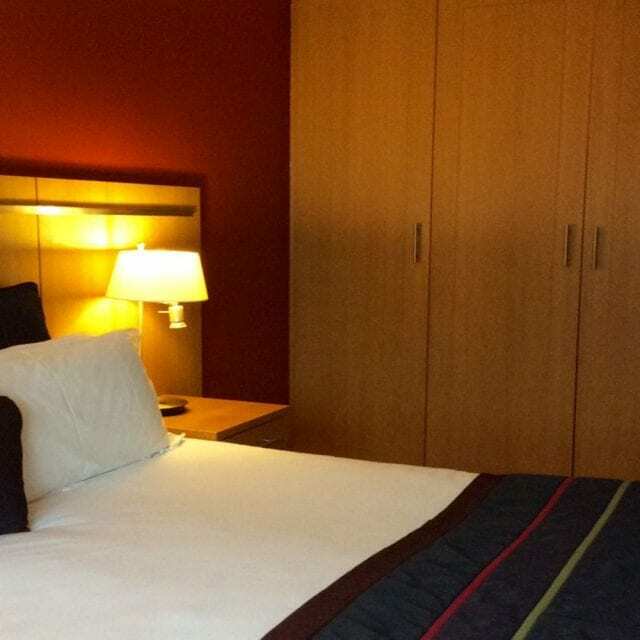 Browse our range of hotel rooms below and enjoy your stay in comfort. Our standard hotel rooms are designed to maximise comfort during your stay and are some of the most luxurious accommodations in Dublin. Enjoy a great night sleep in a large double bed with crisp cotton linen and en-suite bathroom. 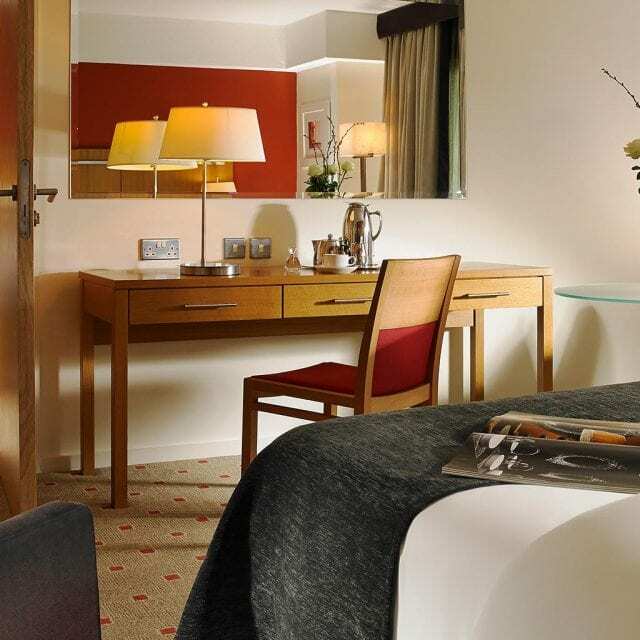 Our rooms all have in-room features such as free WiFi access, 32″ LED TV, tea/coffee making facilities, high performance hairdryer, iron & ironing board and a safety deposit box large enough for a guest laptop so you can enjoy your stay with us in comfort. 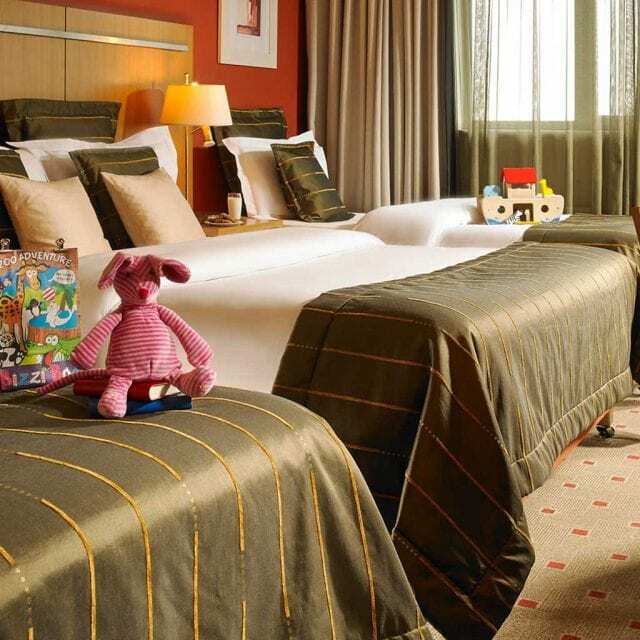 Our hotel in Liffey Valley is a family friendly hotel offering a wide range of family facilities including spacious family hotel rooms, an outdoor play area, kids corner, movie room* and swimming pool. All of our family rooms include a double bed and two single beds which comfortably accommodates families up to four. The rooms are a good choice for families and we can also offer interconnecting rooms subject to availability and supplement. Our Executive Suites are a contemporary open plan design with a large bedroom, and separate living room with a kitchenette. All executive suites have a king bed as well as sofa bed in the living room. All our Executive Suite rooms have a 32″ LED TV, complimentary WiFi, tea & coffee facilities, laptop safe and high performance hairdryer. Kitchenette facilities include a microwave, toaster, fridge, cutlery and crockery. Ideal for long stay guests or families. Ideal for both short & long term stays, choose from a selection of our one bedroom and two-bedroom hotel apartments. 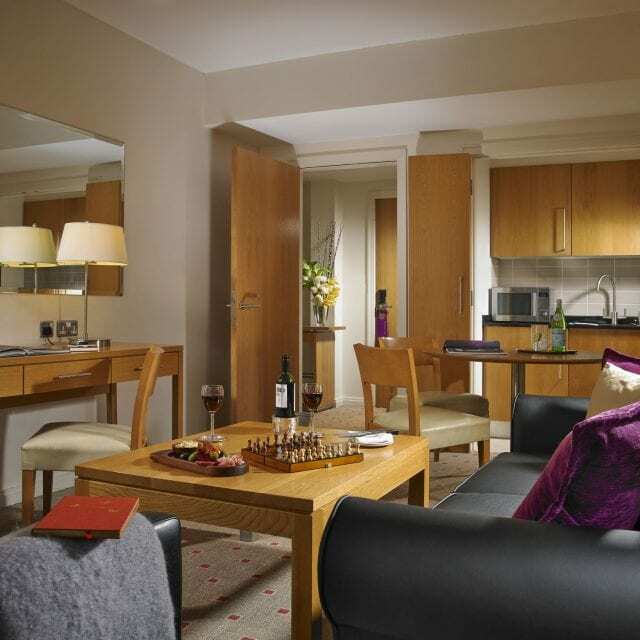 Our serviced apartments have comfortable bedroom(s) with en-suite bathroom(s) and a living room area. The kitchenette includes ample facilities such as a microwave oven, kettle, toaster, fridge freezer, all kitchen utensils and a utility room with washing machine and dryer. Serviced apartments are perfectly suited to corporate guests who may be relocating for a medium to long term business contract. Guests staying for longer stays will have their apartment serviced every four days with fresh linen and towels supplied. All hotel apartments have high speed Wi-Fi and there is a minimum stay of 3 nights or more.